Firefighters were called to a collision near Gainsborough. 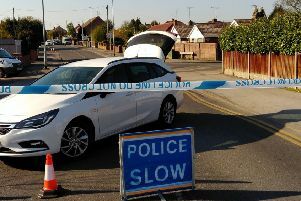 It happened at around 8pm yesterday (Tuesday, December 25) on Ramper Road, Beckingham and involved two cars. Crews from Gainsborough gave casualty care, managed traffic and made the vehicles safe. They left one casualty in the care of East Midlands Ambulance Trust before leaving the scene.